When you are implementing an Inbound Marketing strategy there is a process that must be followed if you are to experience success. To many business owners the process can be confusing and some steps can be missed or placed in the wrong order. 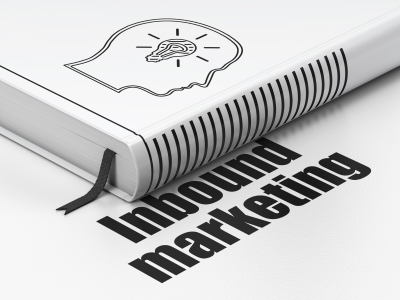 Below are five steps to implementing a successful Inbound Marketing strategy. This may sound obvious but there are many Inbound Marketing companies out there that start a campaign with very broad descriptions of who their ideal customers are. They use terms like “men ages 21-35” and nothing more. If you are a landscaping company you may want “men ages 45-65 who own homes valued at 275,000 and over who live in zip code 12345” or something similar. You also want to choose keywords that these customers are searching for. This is what you will build your campaign around. In order to generate leads for your company you need to offer your prospects something of value so they will feel justified in handing over their contact information. This offer could be an eBook, white paper, free webinar or even a free sample or consultation. Please note that whatever you offer must have value to the prospect. Look at your offer through their eyes. The greatest offer in the world will not produce the leads and conversions that you desire unless there is a strong (and direct) call to action (CTA). It is surprising how many businesses ignore this step. They just assume that the customer will know what to do. Your prospect is busy. He or she is probably looking at your offer on their smartphone or tablet so if your CTA does not stand out they will most likely miss it. Determine exactly what you want your prospect to do and then spell it out for them. Say something like, “Click here to download your FREE ebook,” or “Fill out this form to sign up for our FREE webinar.” Every element of a successful Inbound Marketing strategy has to lead the prospect down a path that eventually turns them into a customer. You may have a great offer but if nobody knows about it you might as well have no offer at all. There are a number of low cost (even no cost) ways to promote your offer. Your first stop should be your business blog (you do have a blog, right?). A simple blog post about your offer or a topic related to your offer is a cost free way to promote. Move on to your social media accounts and promote across all channels. Send out an email blast to your email list. Finally you can pay for some pay per click (PPC) ads that will show up in front of your targeted audience when they are searching. Depending on your industry you may have a very long sales cycle so it is important to nurture these leads as they move through that cycle. Someone who downloads a free eBook may not be ready to buy just yet. Follow up with automated emails that will show the prospect how your product or service will solve their problems. It is all about getting the right information to them at the right time so that when they are ready to buy you will know it and be there to make the sale. Follow these five steps you will be on your way to a successful Inbound Marketing campaign.